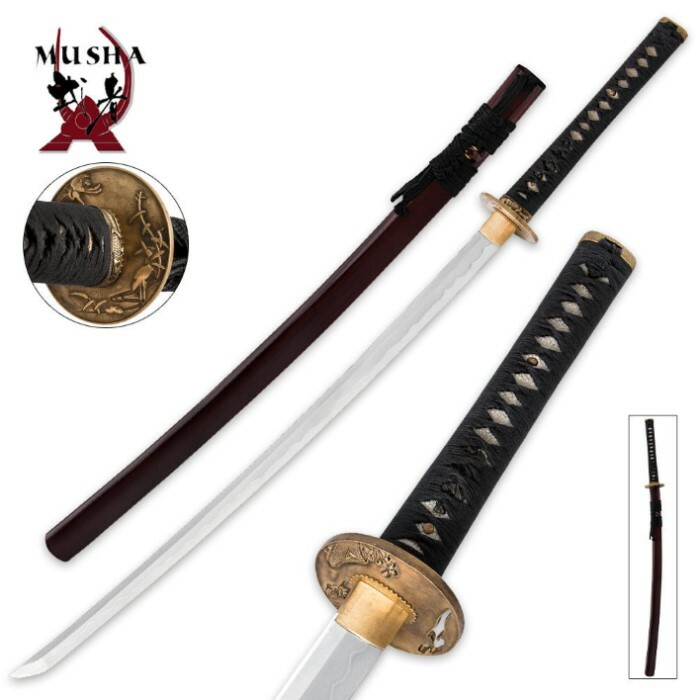 Hand Forged 1060 High Carbon Steel Musha Kobuse Sword With Bamboo Scabbard | BUDK.com - Knives & Swords At The Lowest Prices! 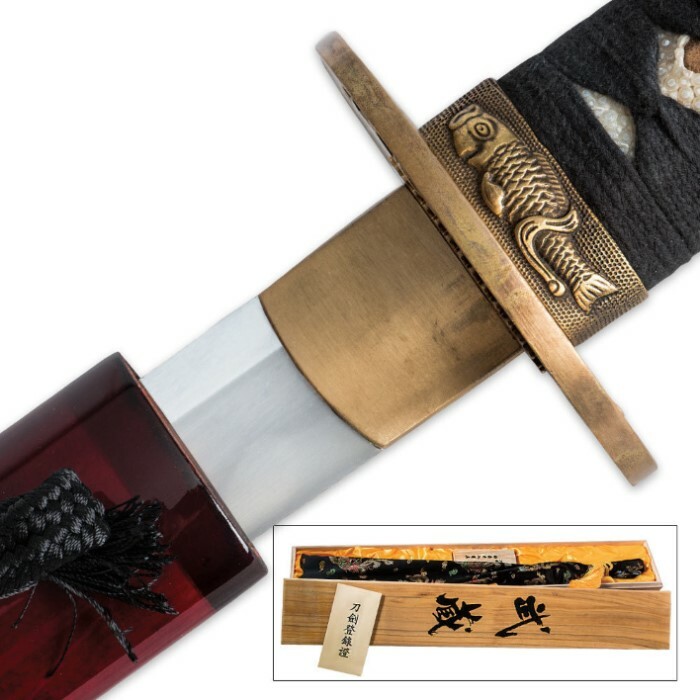 Meticulously hand forged using the time-honored kobuse tempering method, this Musha katana sword is a masterpiece to behold and a fully functional work of art. The 1060 high carbon steel blade is hand forged and sharpened and honed to a razor’s edge for supreme cutting power. The wooden handle is encased in genuine ray skin and wrapped in decorative cords. 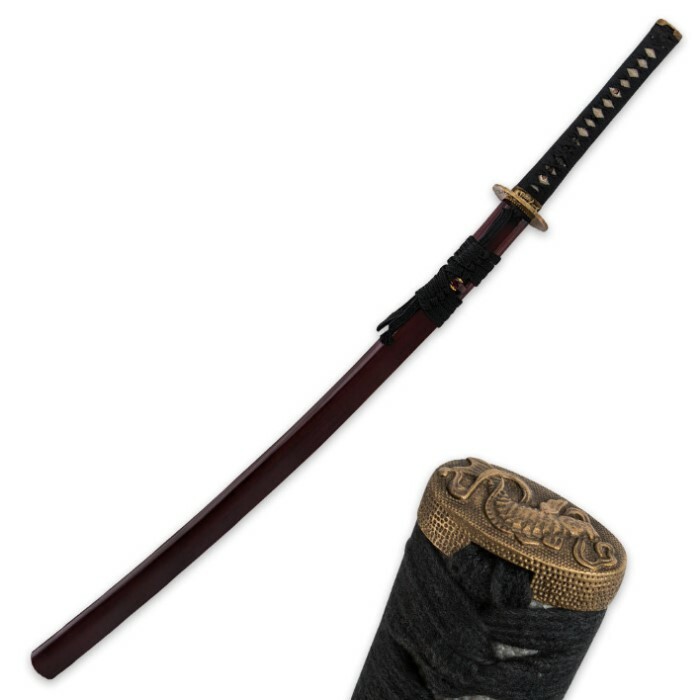 Authentic accents include a solid brass habaki, tsuba, menuki and pommel. A hand-painted red scabbard houses the 29-1/2” blade in style. Each piece is individually serialized and includes a certificate of authenticity attesting to its prestige.